PCT day 2 = done and the Dorset flag has been flown. Day 2 is done, a day at sea doing drills and emergency procedures. 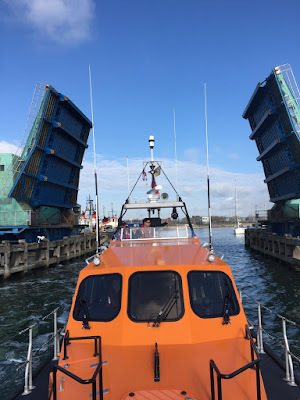 The flags were raised just after 9am and the ropes cast off to go under the 09:30 lifting bridge. 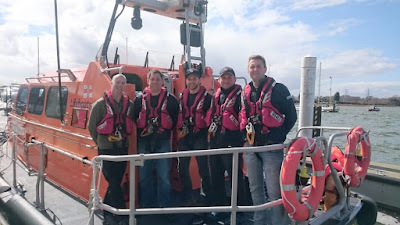 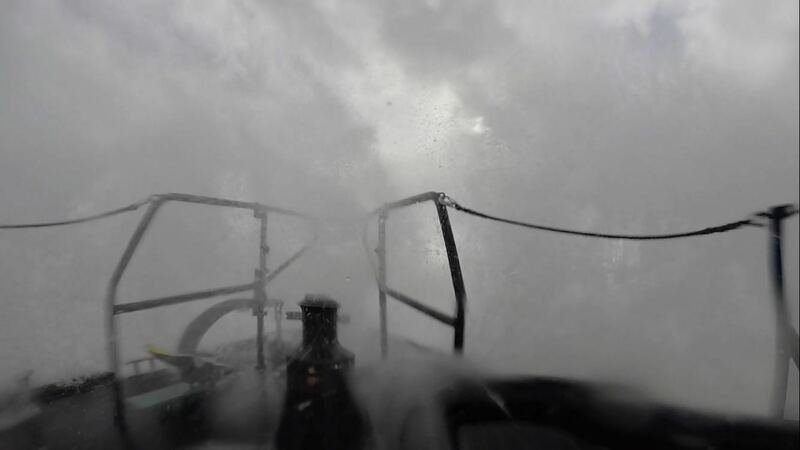 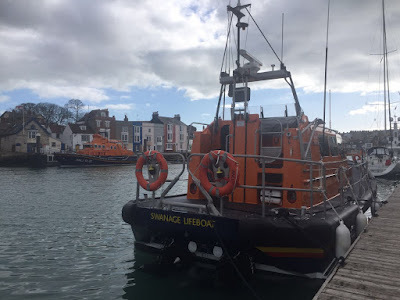 Once out in open water we went through lots of drills including, man overboard, fire onboard, flooding, engine failure, electrical failures, electronics failures and steering failure. 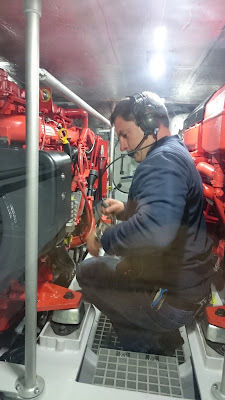 Sorting out faults in the engine room. 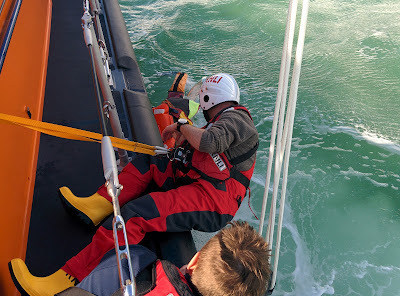 Trying some different techniques for recovering a man overboard. 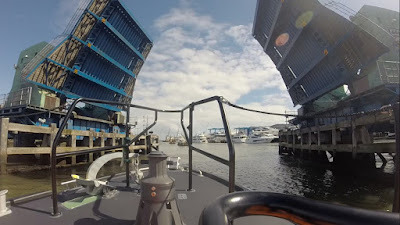 Then back in to Poole Harbour and back to the college. 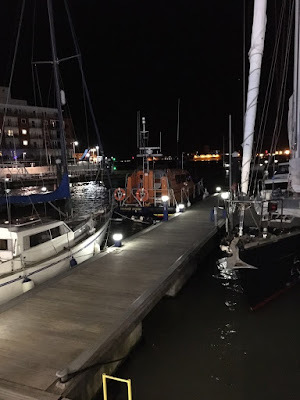 Then moored her up safely at the college pontoon for the night. 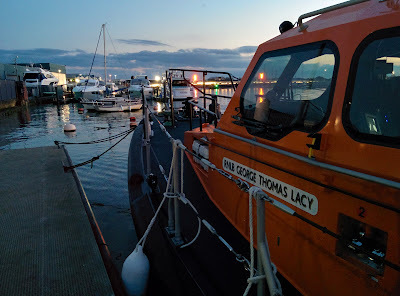 Another full day at sea tomorrow. We'll be leaving Poole at lunchtime then heading to Portsmouth covering more of what we covered today and doing some exercises in the dark. 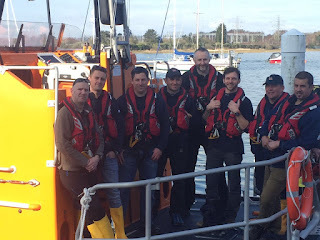 So day one of our PCT (pre-commissioning training) is done. We've covered boat design and layout, machinery, electronics, stowages, equipment and safety systems. 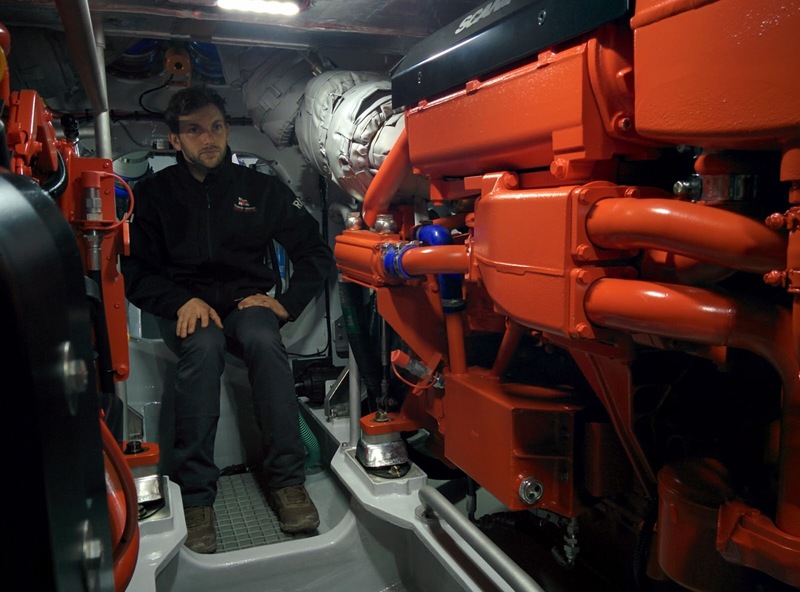 Photo shows Assistant Mechanic, Matt Steeden at the aft end of the engine room. 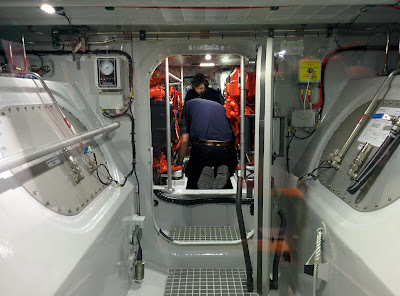 As you can see there's not a lot of head room in the engine room but there is plenty of working space around the engines. 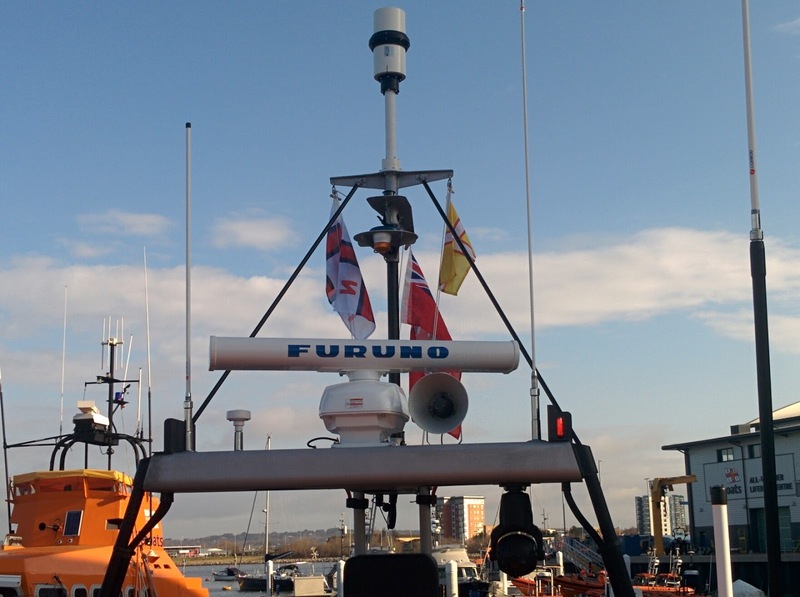 We'll have a full day at sea tomorrow so keep an eye out for us if you're in or around Poole Harbour. Final Shannon training starts today. The final and biggest piece of Shannon training starts today. 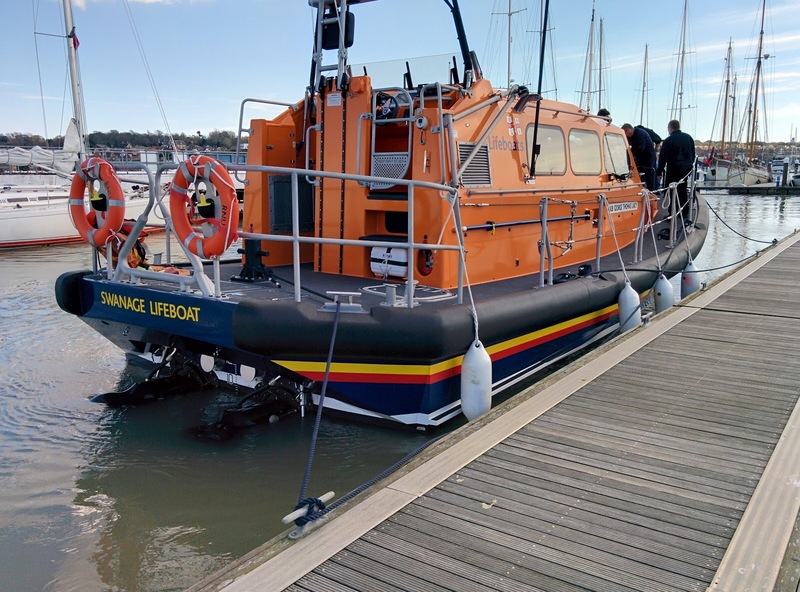 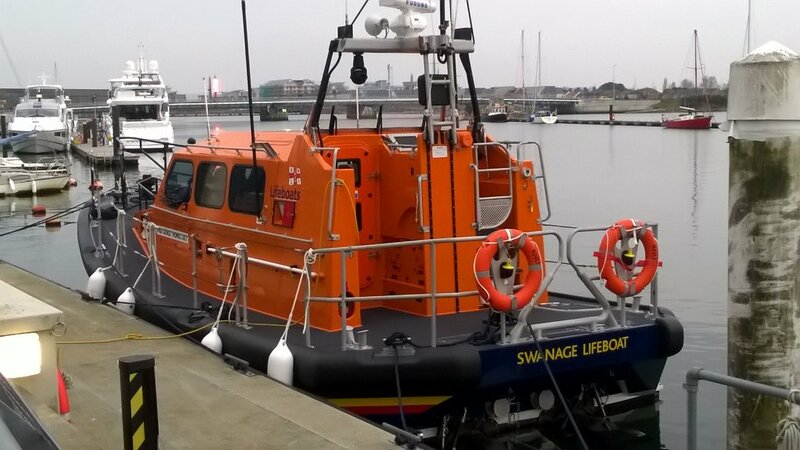 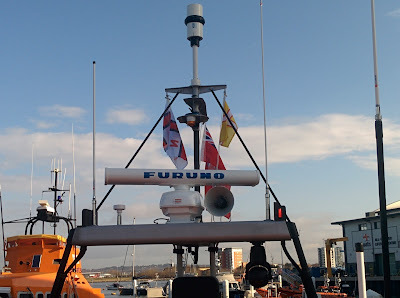 Our new boat is waiting at RNLI HQ in Poole for 5 of our crew to start a week of training before taking her to Swanage for the first time on Friday. 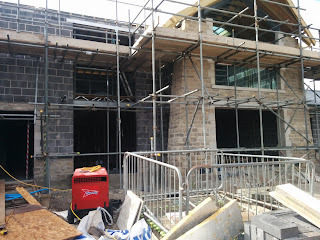 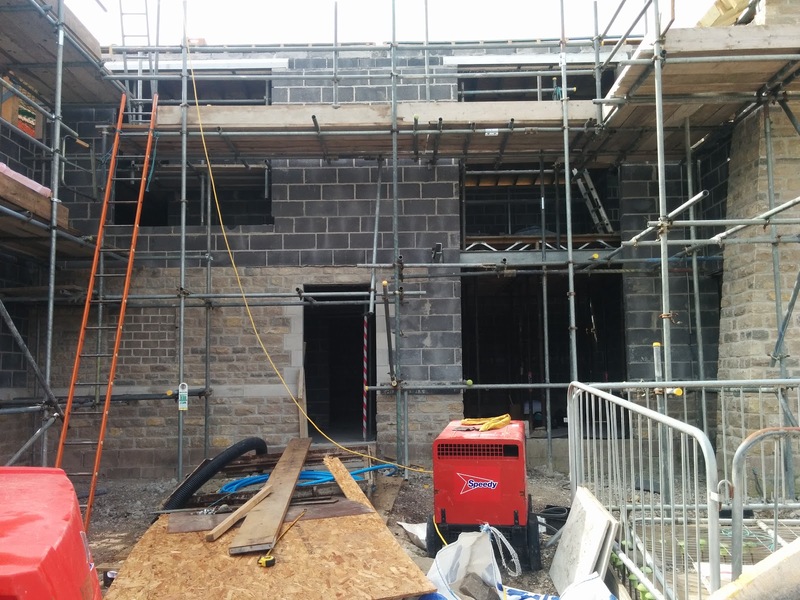 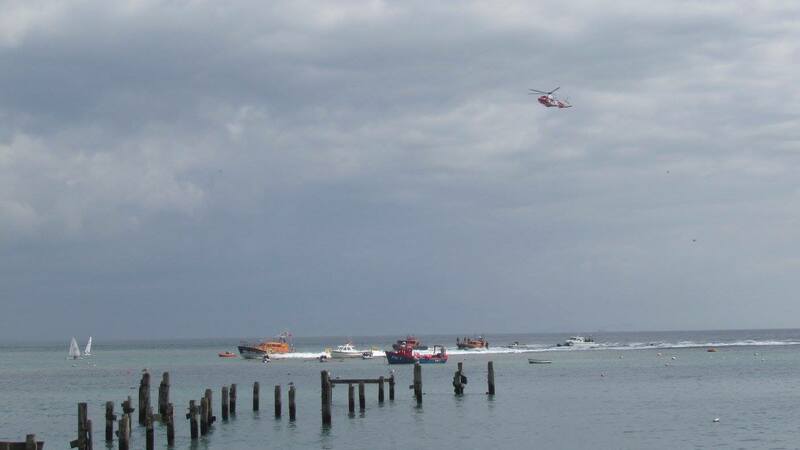 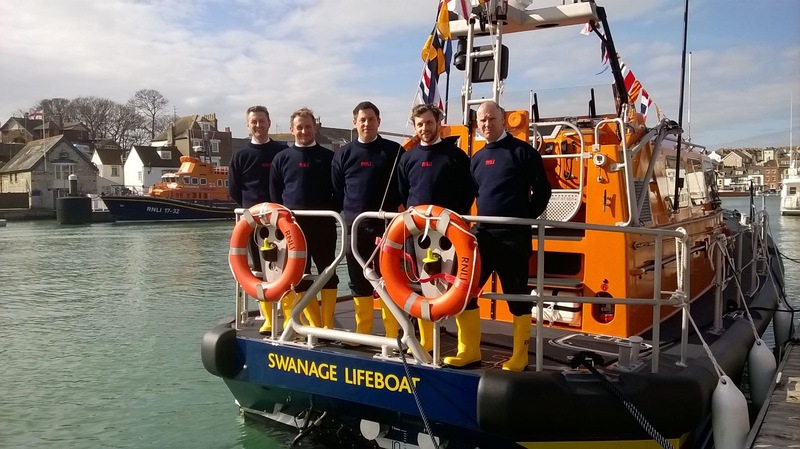 Once in Swanage the rest of the crew receive training over the following 10 days. 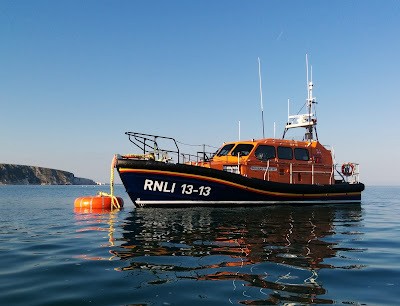 Our new Shannon, what's with all the 13s? 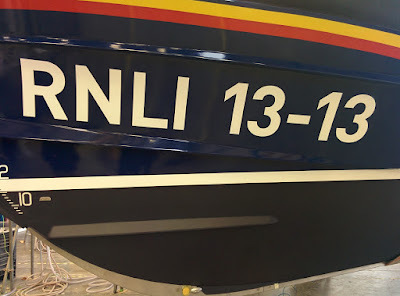 One of the most common questions we're getting at the moment is "Aren't you worried about your new boat having 13-13 on it?" 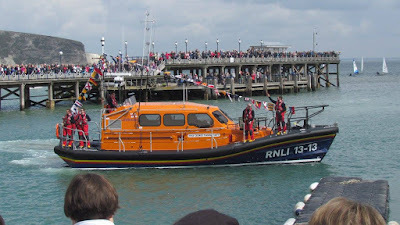 In short no we're not worried about it, for one, we didn't get the choice! 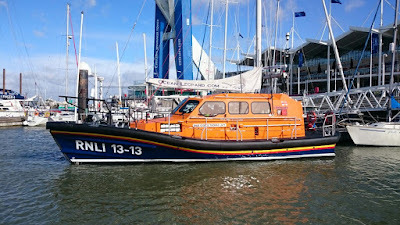 Also the number 13 crops up all over the boat. There are bound to be more 13s, we'll let you know when we find more. 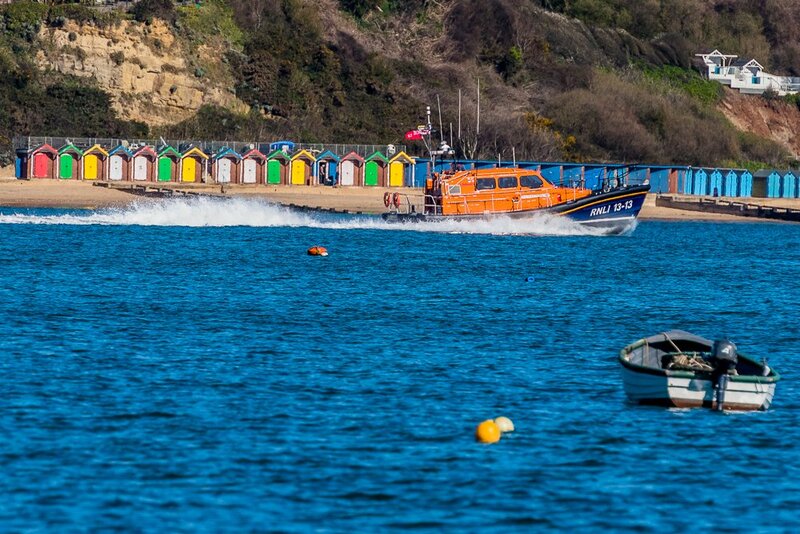 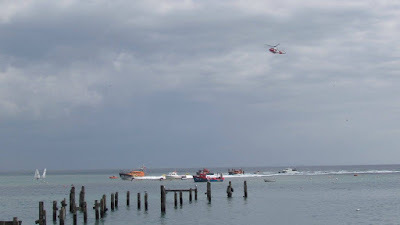 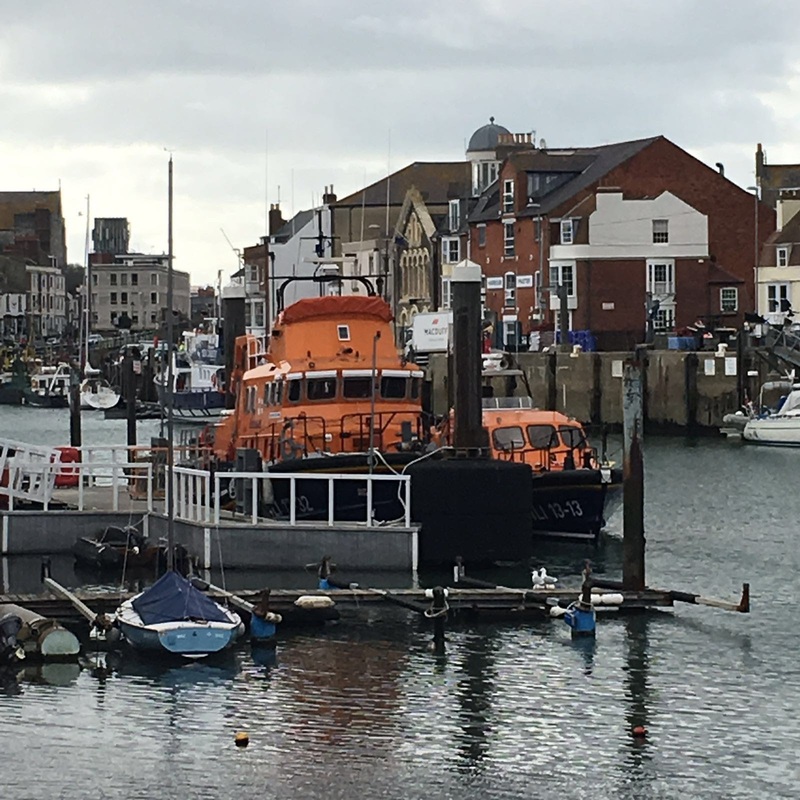 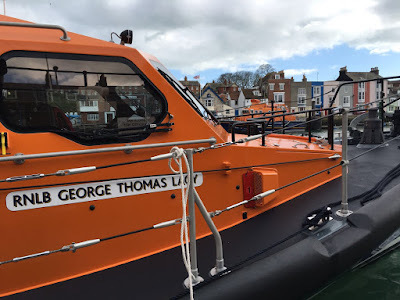 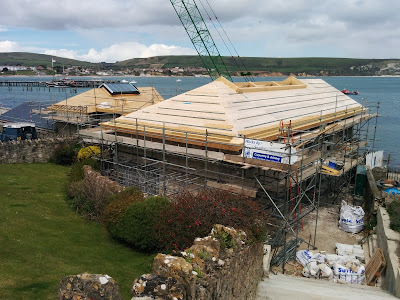 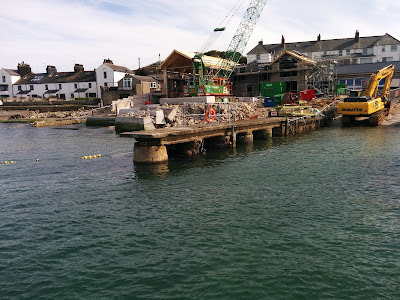 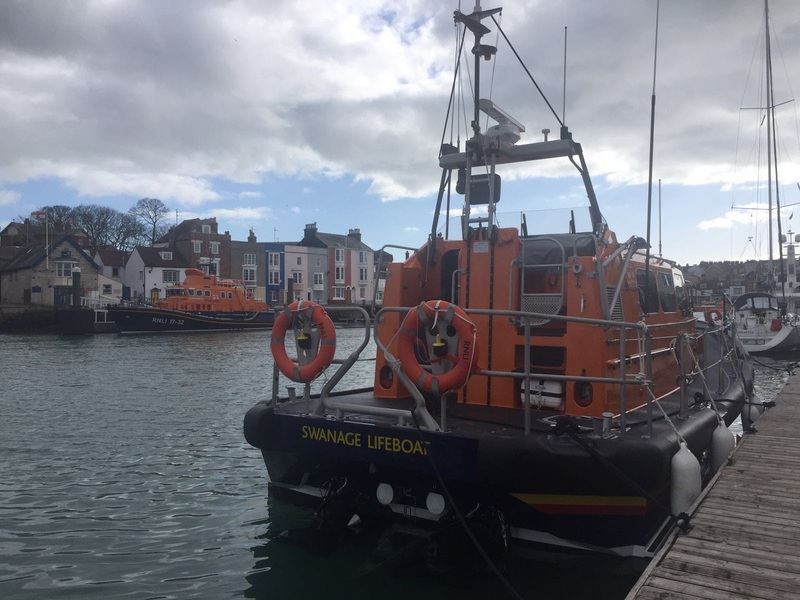 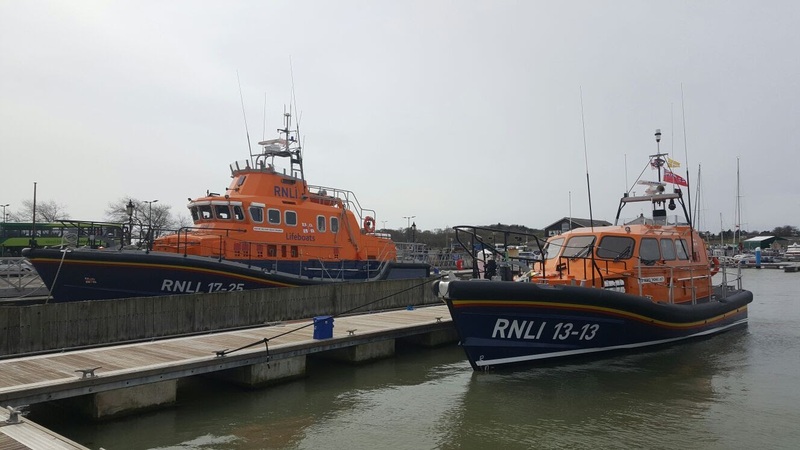 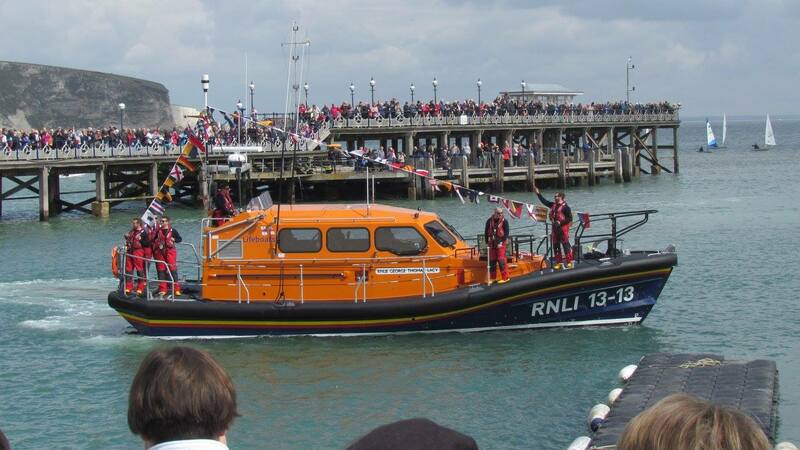 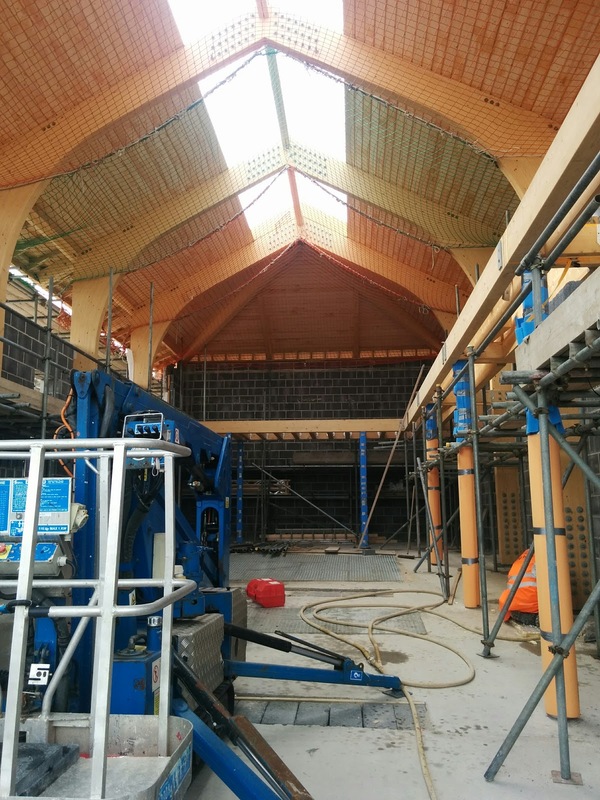 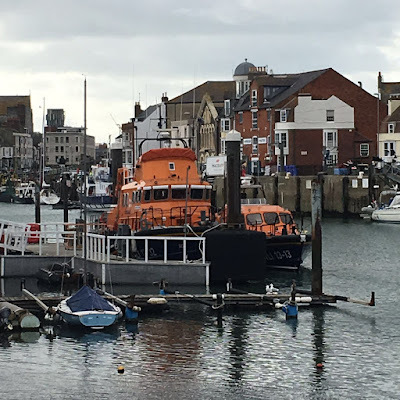 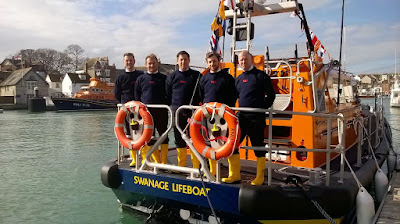 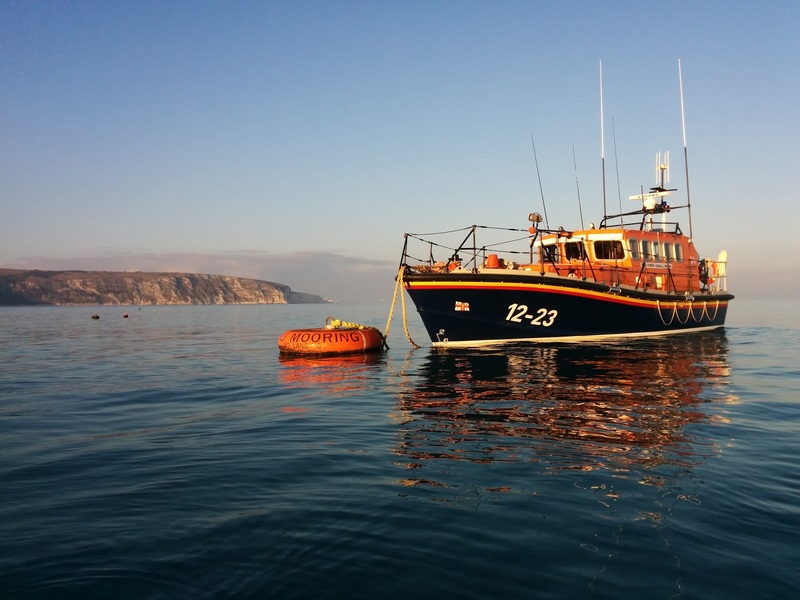 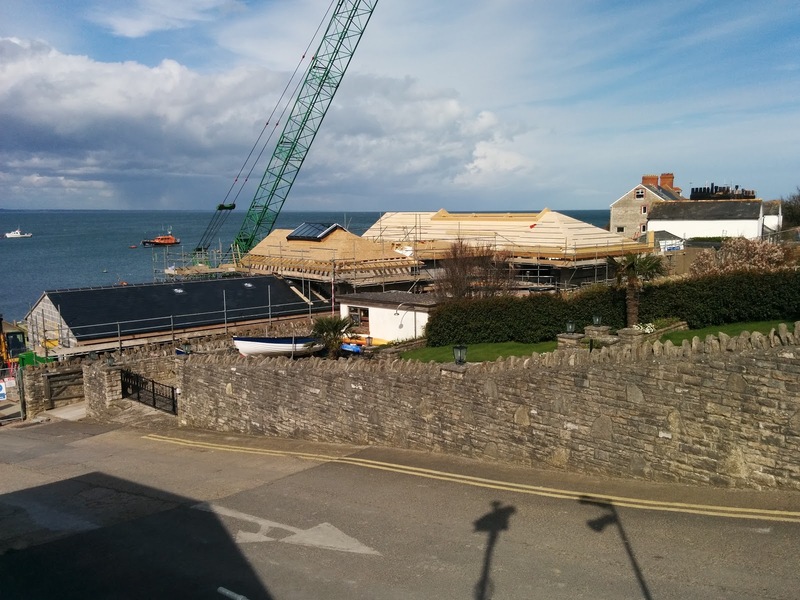 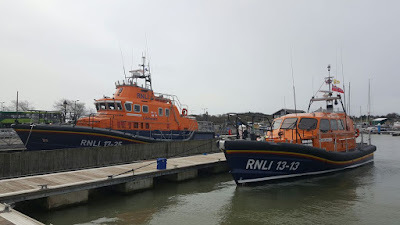 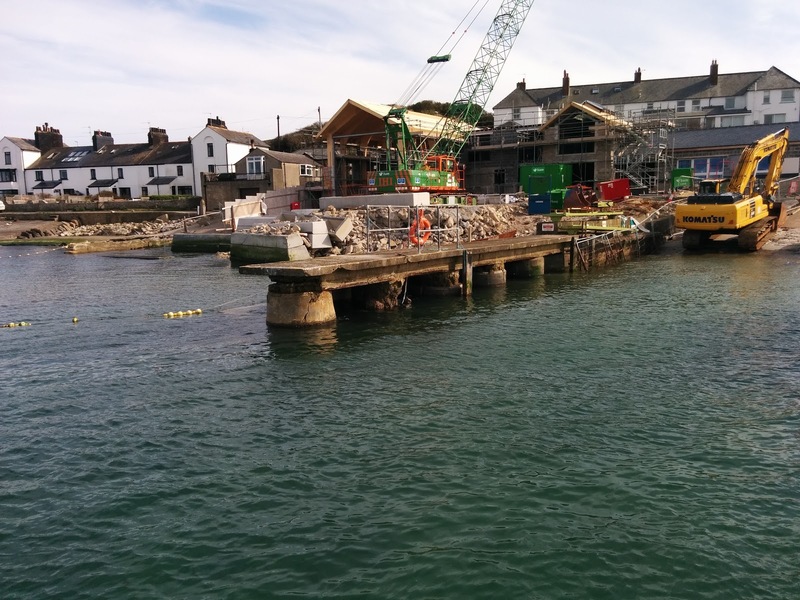 Don't forget to come and join us on Friday 8th April at noon on Swanage Pier when the new boat will come in to Swanage bay for the first time.